The question that is always asked from the victims of emotional or domestic abuse is “Why didn’t you simply leave such frustrating relationship?” Sometimes even the victims really don’t understand why? There are many different reasons for not leaving. 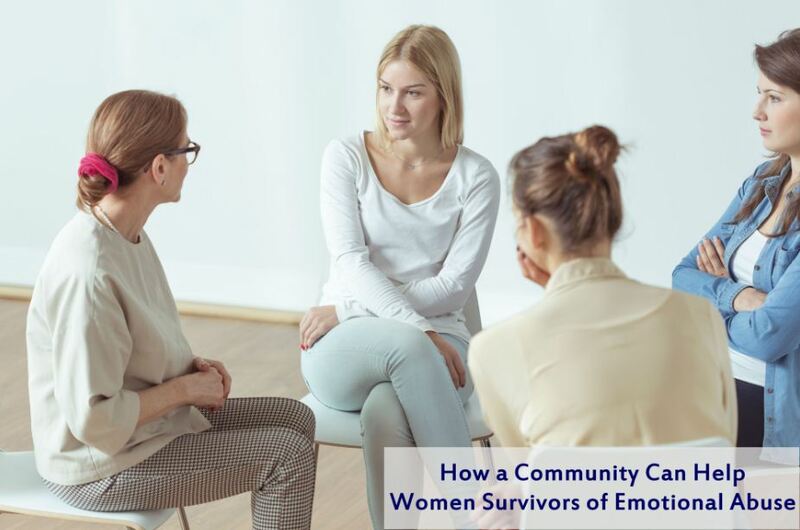 To all those who have left such heart wrenching relationship, a community for women survivors of emotional abuse can provide support to the survivors by conducting workshops. Such communities are mostly non-profit organizations that try to empower, strengthen and uplift those who have suffered from abuse, thereby helping them overcome their past abuse and move forward in their life. Assault on Identity – When somebody tries to control another, they instead attack their own individual identity. They start saying things which makes the victim think who they are? When these attacks happen on regular basis, the victim becomes, confused, disoriented and begins to doubt everything which they once used to believe to be true. The main idea is to destroy the old identity and replace it with a new one, one that is in accordance to beliefs, values and ideas of the manipulator. The effects of such effect on identity can last longer even after the victim is no longer in an abusive relationship. Self Betrayal – Once the victim is full of guilt and shame, they start ignoring their own needs and instead adopt those choices that are harmful to their wellbeing. The victim is asked to cut off communication with family and friends. This is the first step towards isolation. The victims’ betrayal firstly from their own beliefs and secondly from the people who they can really trust leads to an increased feeling of shame and guilt. This attitude further put an end to the sense of self. As a consequence, the more isolated the victim becomes, the more dependent they are on the abuser. The compulsion to confess – A small gesture is all that is required for the victim to make some settlement between abuse and manipulation. Further, they begin to agree with criticisms. After the gesture, it is for the first time the victim understands the difference between criticism and abuse and relief they get if they ignore or become lenient. This is the time when the victim looks within and tries to look for the evil parts and tries to remove them completely from their being. This leads to the creation of “new identity.” The victim begins to acquire the beliefs and the values that have been ingrained by the abuser. To create leniency, the victim is ready to say anything and do everything. There is always a hope. Abuse thrives only in silence. If you are suffering or healing in an abusive relationship, it is advisable to approach a community for women survivors of emotional abuse. They suggest the victims the most effective way to get out of the darkness and shame. Don’t keep the feelings inside. Share! Shame can only survive in darkness. The community makes sure to provide a safe place for women and girls to gather and push forward and lead a life full of abuse-free and happiness.